Metro 2033 is a first-person shooter, survival horror video game developed by 4A Games and published by THQ. It was released in 2010 for the Xbox 360 and Microsoft Windows. The story is based on Dmitry Glukhovsky's novel of the same name, and is set in the ruins of Moscow following a nuclear war, where the survivors are forced to live in underground metro tunnels. Players control Artyom, a man who must defeat an evil mutant race known as the Dark Ones. 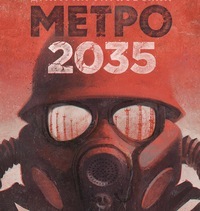 A sequel to the video game Metro 2033, its story follows Artyom, a Ranger living in Moscow's metro system after a destructive nuclear war. 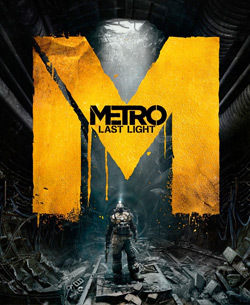 Tasked with finding the mysterious Dark Ones, Artyom must venture to different parts of the metro system, and the surface filled with radiated gases, and fight against different factions and mutated monsters. I didn't know they were making a 3rd game. The 2nd one being made was lucky as THQ obviously tanked what, 4 years ago now? Maybe less? They are very good however I wouldn't bother playing them now unless you get the Redux versions as it does quite an improvement to the first one. All great games, great storyline, great physics, awesome weapon customization... can't wait for the 3rd part.